One-to-one training and behaviour advice. Services offered : New puppy training and advice; Pre puppy preparation; Adult dog training; Behaviour advice; Learn about clicker training; Learning through games and play; Gundog foundation skills. Behaviour advice on veterinary referral. Includes detailed consultation in your home, a written report, and telephone and e-mail support between sessions. 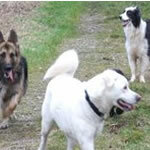 I enjoy working with dogs, cats and rabbits in Bristol, Bath and the surrounding area. I address a wide variety of behaviour and training issues. I am also a registered Tellington TTouch Practitioner, which I find invaluable in helping animals change their behaviour and reach their full potential. I look forward to meeting you and your pet! Chrissy is a qualified teacher, with many years of experience working across the age ranges from primary, secondary, to further education, adults and those with special needs. British Sign Language (BSL) available. 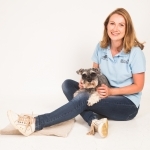 Chrissy is available to support you through Companion Animal Behaviour Assessments, 1:1s or bespoke group courses. Popular reasons for asking for support include Outdoor Control, Reliable Recall and Inappropriate Chase ~ “Leave” / Sheep Chase ~ “Leave”. The latter can be supported by using our own sheep if appropriate. Also popular is support for people with reactive dogs, those presenting aggressive behaviour and those with other fear issues. I use marker training which can includes Clicker, if you wish. All methods are reward based, motivational, stress free and enable you to help your pet make the choice you want your pet to make. This is achieved by working with your pet as an individual and using strategies that let them learn to make appropriate choices because making those choices will be rewarding to your pet. You will merely engineer the opportunity for those choices to be made more easily and to occur more frequently. Home visits or using our facilities available. I am also happy to arrange to give talks and /or presentations about behaviour and training. I am a behaviourist and trainer working in Bristol and Bath. Classes run from puppy to old age and cover the Kennel Club Good Citizen Scheme. 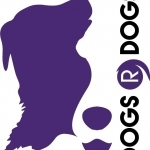 Behaviour consultations including our reactive dog programme are available on vet referral. I offer: Puppy classes, Fun Obedience, Fun Gun Dog, Rally, Fun Agility, Walking Training sessions and One to One Training sessions. 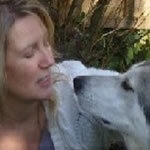 Dog and Cat behaviour consultations available. 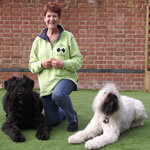 Lifeskills for Pets and Puppy Classes, aimed at pet owners and their families. Help with Behavioural Issues, home based visits where appropriate. Vet referral required. Aimed at owners with concerns about their pet's behaviours. 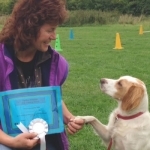 Dog Agility Training Just for Fun or to UK Competition Standard. 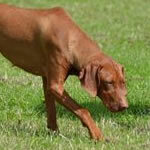 From Foundation classes for young dogs to competitive course running for the more experienced. Fully qualified Agility Instructor (ACAI) and active competitor with my own dogs. One to one behaviour consultations at your home. I specialise in Positive Gundog training and Pet dog Training either at our training facility or at your home. I am also a member of the Association of Pet Dog Trainers (APDT). Puppy Training, Basic pet obedience, Clicker Training, and Gundog Training. Dog training - puppy and adult dog. Small group and one to one training sessions. Behaviour Consultations for dogs and cats. Advice on choosing your new family member and preparing for their arrival in your home. Home visit consultations offered on veterinary referral for Companion Animal Behaviour problems. One to one dog training also provided where I came to you and help train in the environments in which you are experiencing issues. 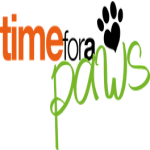 Best Behaviour provides a professional, holistic and individually tailored service for Dogs, Cats & Small Animals in the Wiltshire & Somerset areas. Excellent Puppy Training courses are offered locally designed around the critical puppy developmental stages. Please contact for further details. Every case is dealt with on an individual basis with the utmost care and support from myself. I offer 1-2-1 advice on dog and cat behaviour cases in collaboration with veterinarians. Consultations are carried out in the comfort of your own home. I also offer advice and support on socialising your new puppy and 1-2-1 training.